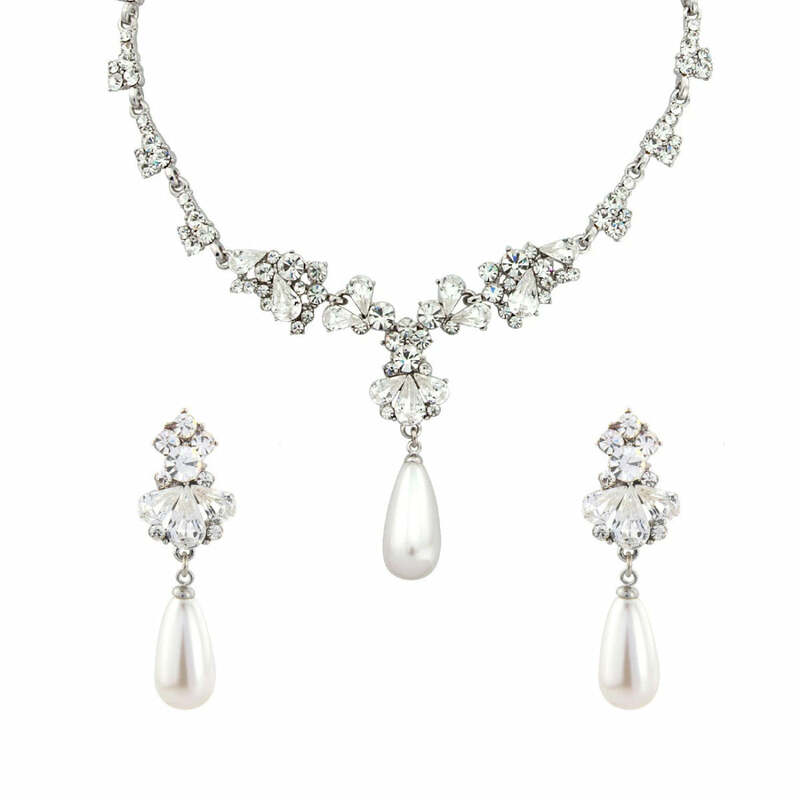 Sensational statement jewels, our Pearl Heiress Jewellery set combines a striking crystal and pearl Y necklace with the choice of coordinating pierced or clip on earrings. 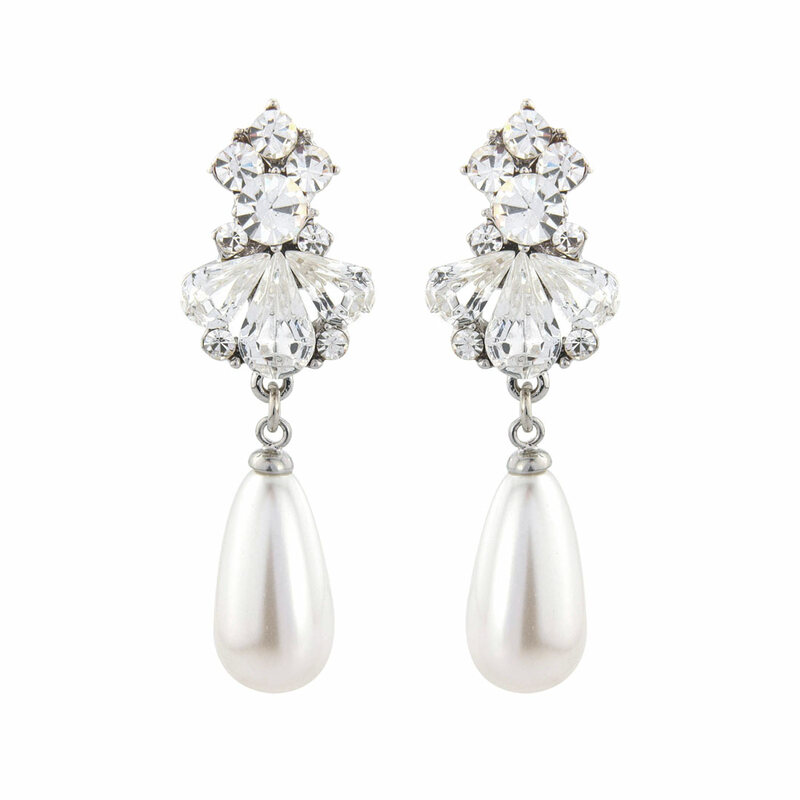 Embrace the glamourous elegance of Old Hollywood with our Pearl Heiress Jewellery Set and unleash your inner screen siren. 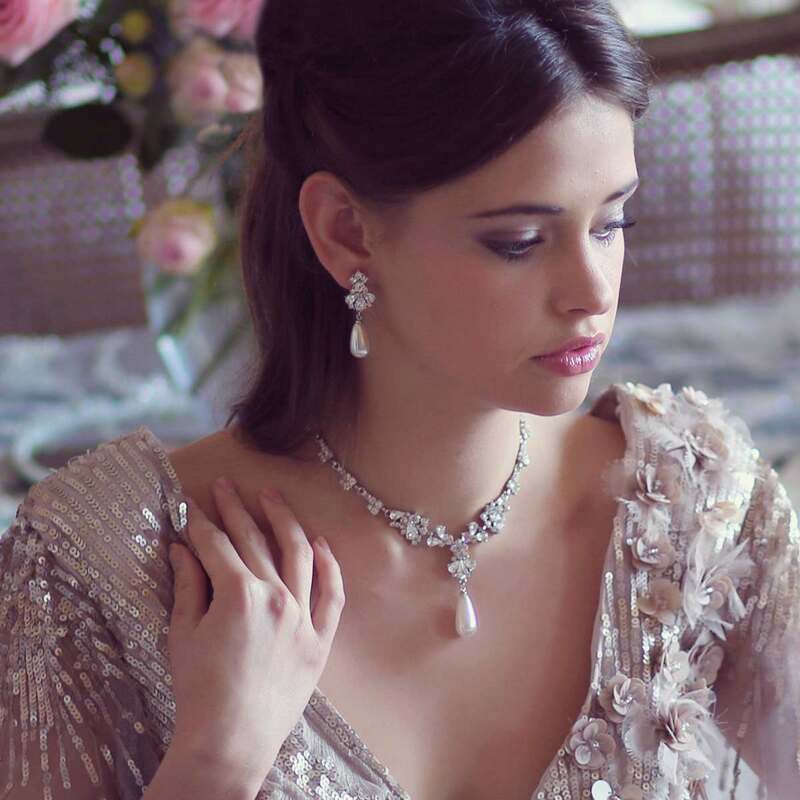 Featuring a beautiful pearl drop and Austrian crystal encrusted necklace and matching earrings, available in pierced or clip on, this exquisite two piece could be mistaken for a vintage treasure. 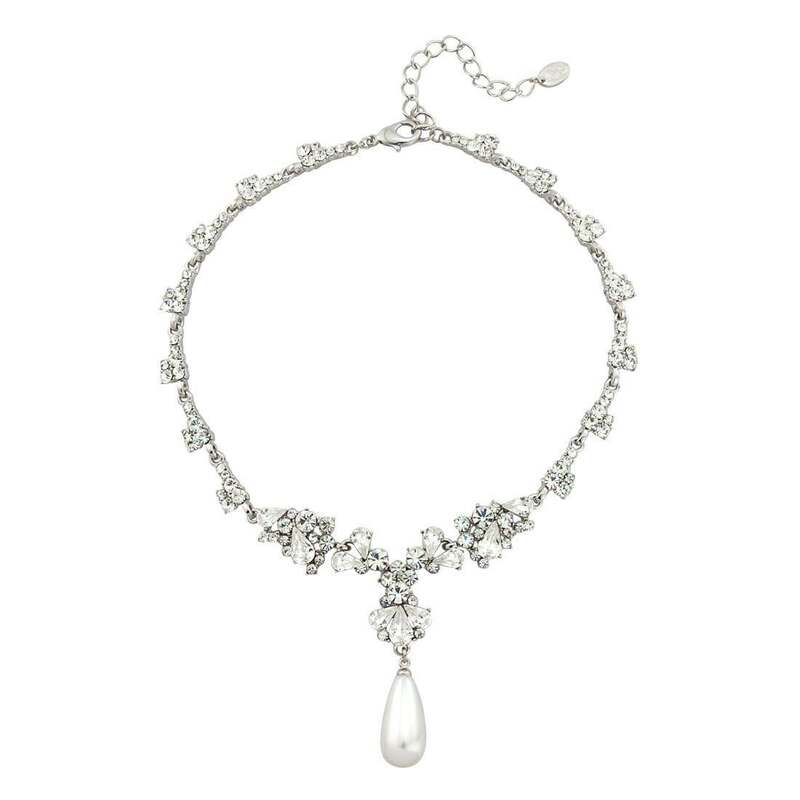 The most exquisite bridal jewellery set to complement a timeless wedding dress, this divine duo adds an elegant finishing touch to strapless or open neckline. Perfect to enhance the pearl detail on an embroidered bodice, its timeless graceful style ensures this pearl necklace and earrings set looks fabulous with both modern and vintage bridal styles. Beyond the big day, Pearl Heiress will become your go-to accessories for every special occasion that calls for a touch of classic glamour - from black tie ball to a cocktail party.